Anywhere else in the world Monday Falls would be a major tourist attraction. 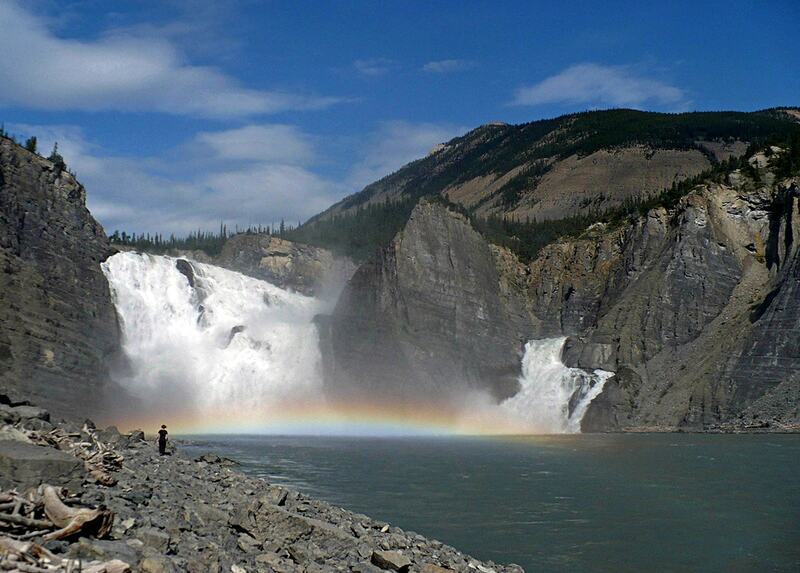 These 45 m tall and approximately 120 m wide falls are truly breathtaking. 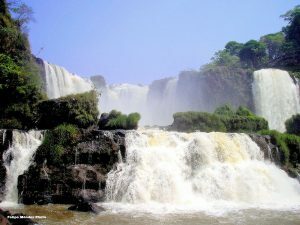 Nevertheless this beautiful waterfall is overshadowed by one of the largest waterfalls in the world – just 24 km (direct line) from here are located Iguazu Falls. The name "Monday" (pronounced "mon-da-ugh") originates from Guarani language and means: "robbed river". Monday Falls are located in the Puerto President Franco suburb of fast groving city – Ciudad del Este. Happily a (rather small – just 9 ha) patch of natural forest around the falls has been preserved as a nature reserve named Monday Municipal Park. A system of nature trails has been developed around the falls. Falls have formed on basalt. 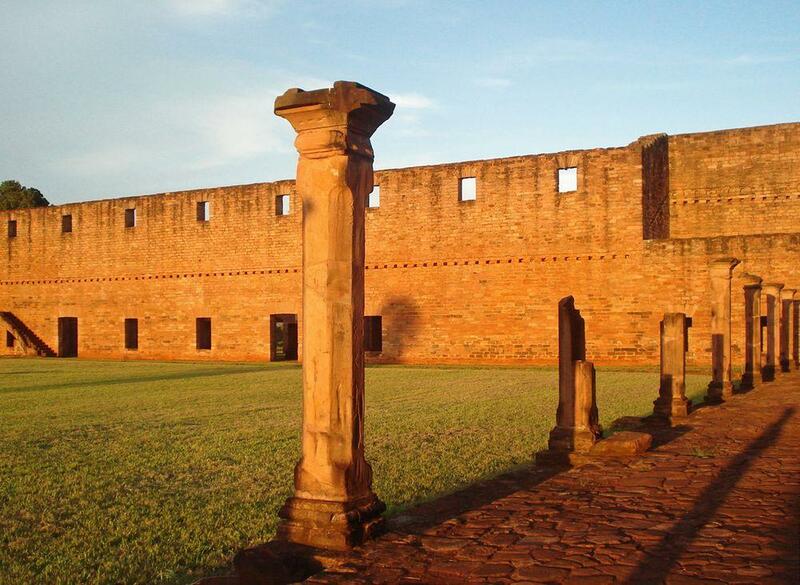 Most impressive and interesting landmarks in Paraguay are several impressive waterfalls, ruins of Jesuit missions – once impressive 18th century structures and petroglyphs. 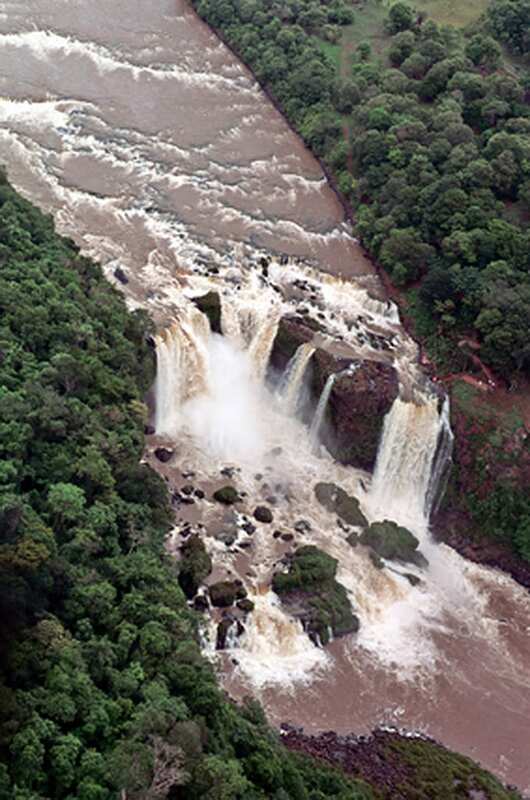 Hemmed in by the vast, arid Chaco to the west and, for most of its history, impenetrable jungles to the east, Paraguay has been defined largely by its isolation. Partly as a result, there has been a dearth of serious scholarship or journalism about the country. Going a long way toward redressing this lack of information and analysis, The Paraguay Reader is a lively compilation of testimonies, journalism, scholarship, political tracts, literature, and illustrations, including maps, photographs, paintings, drawings, and advertisements. 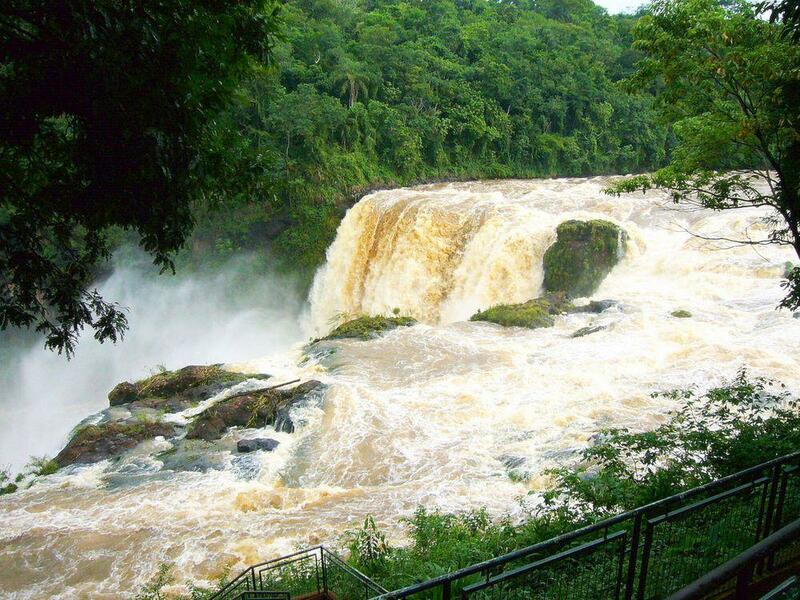 This is an invaluable guide to experiencing everything Paraguay has to offer. Filled with cultural insights and first-hand recommendations, Natalia Goldberg has spent the better part of decade compiling this comprehensive travel guide. Included is the only available guide to traveling along the Paraguay River to the Pantanal, a little visited region where remote indigenous communities coexist with endangered wildlife.